BASSETT, CA – Bassett High Class of 2007 graduate William Herrera returned to his alma mater to give back to his community, inspiring students that they can achieve anything despite the obstacles they may face in their lives. Herrera was diagnosed with muscular dystrophy at birth and spent his entire life confined to a wheelchair. However, he never allowed his disability to hinder his ability to succeed. With the support of the Orthopedically Impaired (OI) department at Bassett High, Herrera graduated and earned a Bachelor’s degree in graphic design with a minor in business management at Cal Poly Pomona. He has since returned to Bassett High to mentor and guide students in their studies through THINK Together, an organization helping students achieve their personal and academic goals. “THINK Together opened up my eyes in helping and working with students, which is something I never thought I would be doing,” Herrera said. “It’s fun connecting with the students because it shows that everyone is basically the same. We all have our likes and dislikes and it doesn’t matter if you have a disability or not. Bassett High’s OI department and teachers provide tools and resources for disabled students. Since Herrera was affected by muscular dystrophy, which is the weakening of muscles caused by defects in a person’s genes that decreases mobility, he was provided a notetaking assistant in his classes since he had difficulty taking notes. In addition to supporting students in the classroom, OI provides assistance for students with self-help needs, including during meal times and using the restroom. Herrera works as an independent graphic designer and photographer in addition to being a community outreach provider for THINK Together. He plans to return to college to pursue a master’s degree in counseling. 062618_BASSETT_HERRERA: Bassett High School Class of 2007 alumni William Herrera, diagnosed with muscular dystrophy at birth, mentors and guides students in their studies through THINK Together, an organization helping students achieve their personal and academic goals. 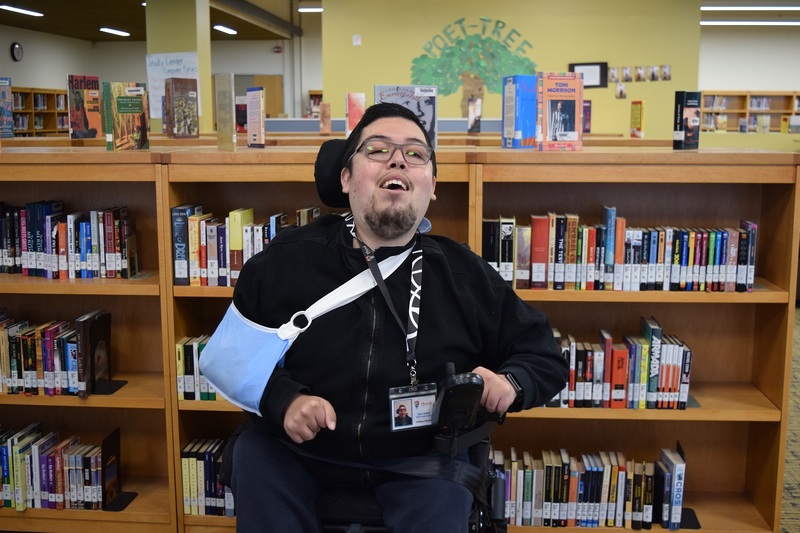 Bassett High School Class of 2007 alumni William Herrera, diagnosed with muscular dystrophy at birth, mentors and guides students in their studies through THINK Together, an organization helping students achieve their personal and academic goals.